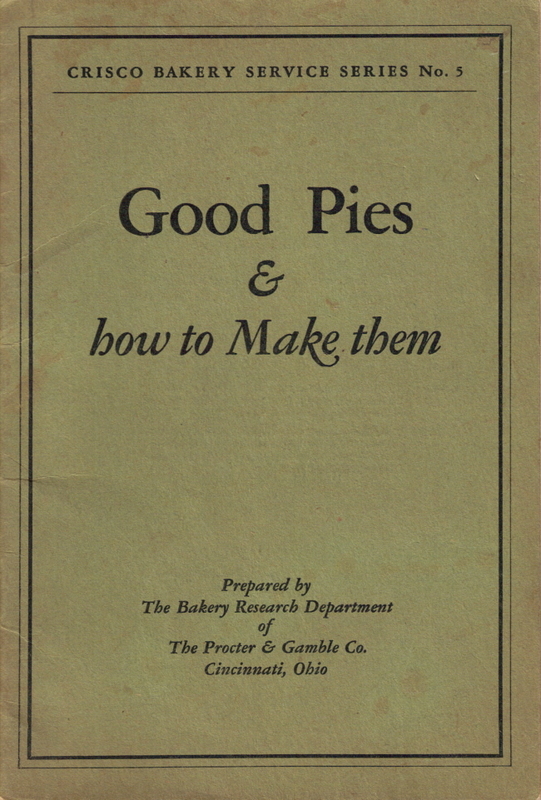 This old recipe cookbook was published by Crisco in 1928 and is packed full of information on how to make good pies. 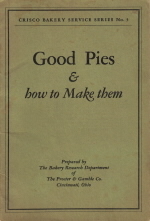 This is the fifth of a series of booklets on phases of baking, prepared by the Bakery Research Department of The Procter & Gamble Company. To view a section of the cookbook, just click one of the title links below and you'll be able to browse through a complete re-typed format as well as images of all the pages. The cookbook is 32 pages (some are blank) but I formatted everything per section (so all cake recipes would be on one page, etc. ).